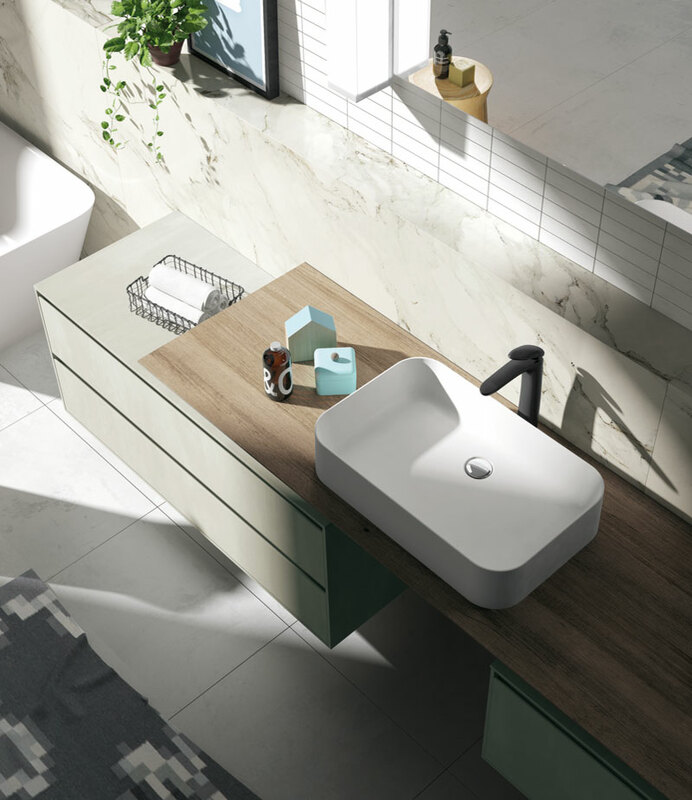 The contemporary appeal of this arrangement is achieved by combining various textural finishes: the vanity with a countertop basin is in wood- effect laminate while the base units are in imitation concrete Ares Gadira melamine. 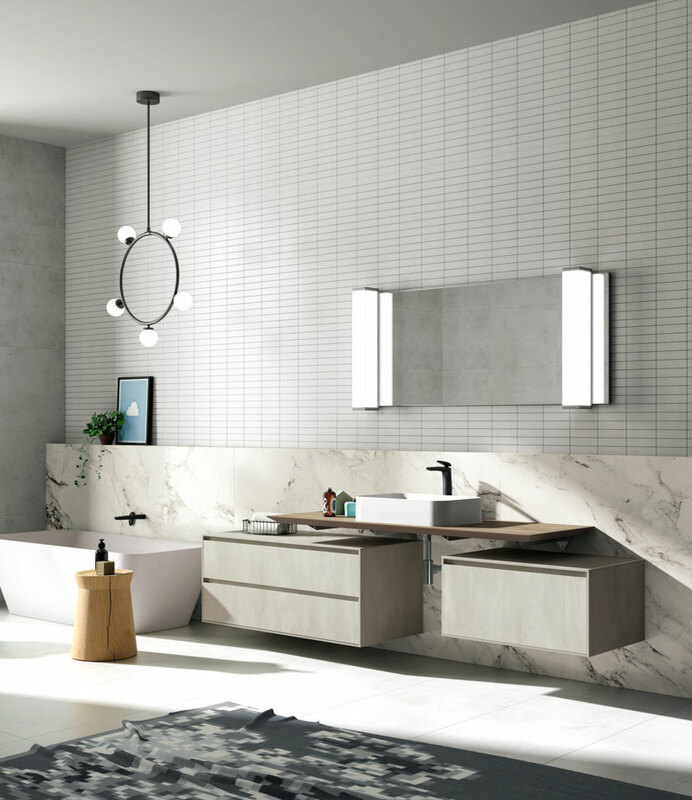 The large vanity countertop is completed by two additional surfaces that appear on either side thanks to the protruding position of the base units with oversize drawers and recessed grips. 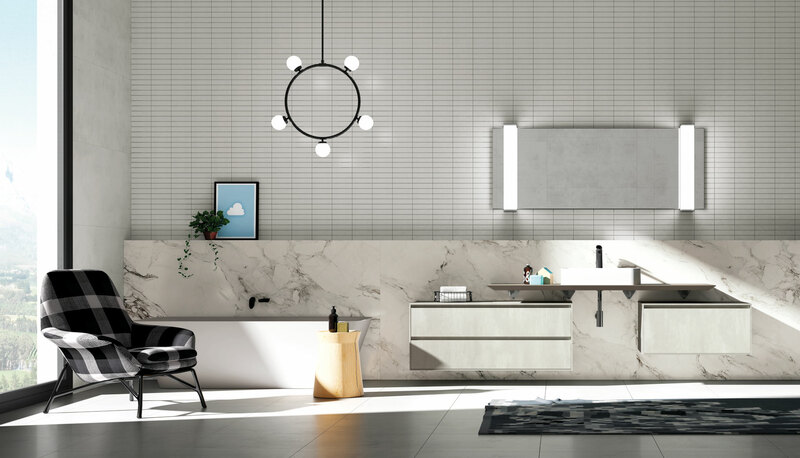 The white ceramic countertop basin stands out from contrasting, Root laminate.